After a stellar performance on the island of Mauritius in 2016 with Ann Clue and Deniz Bul, German DJ and producer Boris Brejcha returns for an exclusive event at The Ørbital Forest Festival on the island's Black River. Hosted by Mauritian model, talent and events agency Secret Models, the party takes place on December 8th supported by labelmates Theydream. 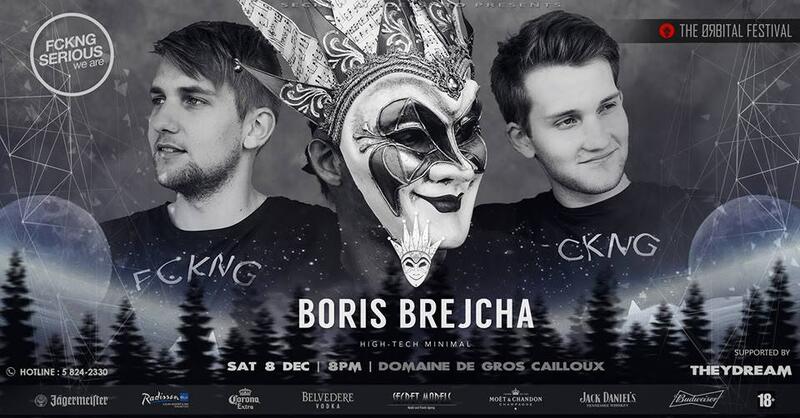 In 2017, after featuring on the ever-popular Cercle live stream, Brejcha’s Fckng Serious imprint became the first electronic music label to do a European tour on a Nightliner bus, and played 10 shows in just 12 days. With their mission to spread good music and serious parties around the globe, the label has become the prime source for Brejcha’s “high-tech minimal” sound, while giving its artists a platform for all their creativity to flourish. Tickets available here. For more information visit the event page. Another epic party on the cards this weekend!